To ensure the efficiency of the corn harvester, it is necessary not only to assemble and lubricate various spare parts but also to maintain the flexibility of the rotating parts. The fuel system is more cautious as a power system. Due to the poor working environment of the corn harvester, once the sand and dust are mixed into the fuel, the parts will be accelerated to wear, causing damage, the injection pressure is reduced, the black smoke is emitted, the engine power is reduced, and the like, especially the life of the high-pressure pump is reduced. The Tractor Mounted Corn Harvester manufacturer tells you about the maintenance methods of the corn harvester. To do the maintenance of the Tractor Mounted Corn Harvester fuel system, you need to do the following: 1. The fuel filter can remove impurities such as iron oxide and dust from the fuel. It is an “artifact” to prevent the fuel system from clogging and reduce mechanical wear. Therefore, regular replacement of the fuel filter can ensure stable operation of the engine. Under normal circumstances, the fuel filter should be replaced after 250 hours of initial work, and then replaced after every 500 hours of operation. 2. Remember to drain the water and impurities in the bottom of the fuel tank and the oil-water separator before starting the engine to ensure the stability of the engine system. 3. According to the characteristics of winter, properly adjust the fuel supply advance angle of the diesel engine to facilitate the smooth start of the diesel engine and reduce the wear and fuel consumption of the machine. 4. When changing the oil, try to use high-quality engine oil. This type of oil is not easily oxidized at high temperatures and does not form deposits in the precision parts of the diesel engine, which can greatly extend the life of the diesel engine. On the contrary, if low-quality oil is used, it is easy to leave carbon deposits and sludge in the diesel engine, block the filter and the oil passage, and shorten the life of the diesel engine. Corn peeling machine is a commonly used corn harvesting machine. In addition to the corn peeling device installed on the large corn harvesting machine, there is also a small household corn peeling machine, which is mostly used for household use or small-scale farmers. Diesel Engine/Motor Driven Mini Corn Sheller manufacturers & suppliers to introduce the production principle of corn sheller. Production principle of diesel engine/motor driven mini corn sheller: The principle of corn sheller is mainly to remove the corn skin according to the mechanical rotation of the roller. The general corn peeling machine has a single set of four axes, and the shafts are relatively rotated, and the friction and squeeze caused by the rotation between the shafts are utilized. Press and push to remove the corn husk. And now the corn sheller on the market is divided into two models: diesel engine and motor drive. The main part of the corn sheller is the shaft. There is a corresponding roller on each axis. At present, the rubber roller and the iron roller are the main materials. In the process of using the actual corn peeling machine, it is necessary to timely maintain the shaft and replace it as needed, so as to ensure the actual effect of the corn peeling machine. Generally, the corn sheller has set the relative speed, the gap between the shafts, etc. at the factory. If it needs to be adjusted during use, it is recommended to consult the corn peeler manufacturer or dealer. At the same time, it should be noted that when an individual is equipped with a corn sheller motor, it is necessary to consult a technician to determine whether it is applicable and to make corresponding changes to meet the speed and power requirements of the corn peeler. adidas chaussure homme bleu Cette version comporte une tige en maille blanche avec cuir jaune pâle sur le talon et la semelle intercalaire associée à du daim bleu sur le garde-boue et la cage de talon. Panneaux en daim bleu marine foncé, langues vert menthe, marquage au centre du pied orange, rose sur les semelles intérieures et extérieures complétant le design. adidas chaussure femme noir Avec plus de 70 ans d'archives, adidas est connu pour plonger dans son passé afin de rafraîchir et de faire revivre certaines silhouettes emblématiques. Le Falcon n'est pas différent. Leur dernière version tire son inspiration du design de Falcon Dorf d’adi; un coureur de performance publié pour la première fois en 1997. Retravaillé avec des aspects de design futuriste. adidas chaussure blanche 2019 Version révisée du Falcon Dorf d'origine, elles sont combinées avec une tige en daim et en mesh, des touches de couleurs vives, des coups métalliques réfléchissants et une semelle épaisse. Les dames peuvent rechercher ce modèle inspiré des années 90 qui va bientôt tomber. adidas falcon noir et rose Le adidas Falcon est un autre élément de preuve montrant que les chaussures volumineuses ne vont plus nulle part. Ce modèle est tout droit sorti des années 90. La silhouette elle-même est une classe de maître dans la conception volumineuse des baskets qui faisait fureur à l'époque et qui connaît actuellement une renaissance. adidas schuhe damen weiß rosa Diese Version verfügt über ein weißes Mesh-Obermaterial mit hellgelbem Leder an der Ferse und Zwischensohle, gepaart mit blauem Wildleder am Schutzblech und am Fersenkäfig. Dunkel-marineblaue Wildleder-Einsätze, mintgrüne Zungen, ein orangefarbener Mittelfuß-Branding und Pink auf den Einlagen und Außensohlen runden das Design ab. adidas schuhe herren schwarz Mit über 70 Jahren Archivarchitektur ist adidas dafür bekannt, in seine Vergangenheit einzutauchen, um einige ikonische Silhouetten aufzufrischen und wiederzubeleben, und der Falcon unterscheidet sich nicht. Die neueste Version wurde von adi’s Falcon Dorf ein Performance-Läufer, der erstmals in 97 veröffentlicht wurde. Mit futuristischen Designaspekten überarbeitet. adidas schuhe neu 2019 sale Sie sind eine überarbeitete Version des ursprünglichen Falcon Dorf. Sie bestehen aus einer Kombination aus Wildleder und Mesh, kräftigen Farbakzenten, reflektierenden Metallschlägen und einer dicken Sohle. Damen können nach diesem Modell suchen, das in den 90er Jahren inspiriert ist. adidas falcon grau multi Der adidas Falcon ist ein weiterer Beweis dafür, dass sperriges Schuhwerk in naher Zukunft nirgendwohin geht. Dieses Modell ist direkt aus den 90ern. Die Silhouette selbst ist eine Meisterklasse im sperrigen Sneaker-Design, die damals sehr angesagt war und derzeit eine Renaissance durchläuft. The Tractor Mounted Rice/Wheat Seeder is a commonly used planter device that is not only efficient but also simple to operate. Next, let's introduce the production process of the rice/wheat planter installed in the tractor so that everyone can know more about the equipment. The Tractor Mounted Mounted Rice/Wheat Seeder for 15-100 horsepower tractors. It is suitable for fertilizing and planting corn in plain and hilly areas. It has the characteristics of good versatility, wide adaptability and uniform seeding. The machine is suitable for sowing wheat in a variety of terrains, seedbox, and fertilizer box separation, increasing the number of seeds and fertilizers added. The new fertilizer hopper is made of mirror stainless steel, durable and beautiful. The machine can complete the processes of leveling, trenching, sowing, fertilizing, repressing, covering soil and mulling in one operation. Low-cost Tractor Mounted Rice/Wheat Seederare widely adaptable: they can be used to sow wheat, corn, soybeans, etc., and are suitable for planting in plain areas of China. The new generation of disc opener is produced by the advanced technology of manganese steel quenching. It has high hardness, high strength, good sailing performance, and has a scraping device, which can work well in clay. The erecting device can be adjusted up and down, left and right, and can be built or filled with a ditch. It is not necessary to stop the car when it is adjusted, and it is within reach. The machine is equipped with a disc opener, a spring leg opener, and a corner shovel opener for users to choose according to different terrains. The above is some knowledge about the tractor-installed rice/wheat planter. I hope that it will help you to better use the equipment. It is important to choose the right equipment. The corn harvester is the agricultural machinery equipment that has emerged in recent years. Its appearance has made the farmers' friends say goodbye to the traditional manual corn harvesting method, which greatly reduced the labor intensity of the farmers' friends. Even if the equipment is damaged, the corn harvester equipment is the same, so when using the equipment, we should not only pay attention to the Tractor Mounted Corn Harvester latest price but also understand the equipment maintenance. The engine, power transmission mechanism and operating mechanism are the three main components of the corn harvester. If there is a problem with these components, the equipment may not work properly. How can this be reduced or avoided? It is the maintenance and overhaul of these main components on a regular basis. Today, I will discuss with you the maintenance skills of the main components of the corn harvester: Engine maintenance The engine is the source of power for the entire corn harvester and should be maintained and maintained before each season. The contents of the engine overhaul mainly include: replacing the oil sump oil, maintaining and cleaning the “three filters” and the water tank, checking and adjusting the valve clearance and oil supply time to achieve the best condition. It is easy to start the engine, and observe the oil pressure, machine temperature, water temperature, charging, lighting, and the status of each instrument after starting. After the engine is well maintained, fix the speed at the rated speed, engage the threshing clutch, check whether the operation of the threshing drum, fan, drafter, screen box, auger, cutter drive mechanism, etc. meets the technical requirements if necessary Repair or adjustment. After that, lubricate the lubrication points and bearings of the entire car. After checking and maintaining the entire combine harvester, it can be put into operation after confirming the test by the test. Overhaul of the power transmission mechanism The power transmission of the Corn Harvester is in the form of tape and chain. The gap of the V-belt wheel rim can be repaired by electric welding. After welding, the groove with the groove bevel should be smoothed and polished. Check for damage and wear on the chain drive sprocket. Visually and knock the sprocket for cracks and damage, whether the top thread is broken and the slider, whether the keyway is worn, etc., if necessary, repair or replace. The main wear of the sprocket is the gear tooth working surface. The wear causes the gear tooth thickness to become thin. When the tooth thickness wears 40% and the tooth width wears 30%, the sprocket should be repaired or replaced. After the above wear, it can be repaired by surfacing. When the tooth thickness is not too much, the sprocket can be turned over and installed. Chain and sprocket work has poor lubrication, large load, easy to shake, easy to adhere to dust and debris, so wear is faster, the pitch is increased due to wear during use, the chain is elongated, and its elongation should not exceed 6% of the original chain, beyond this value should be repaired or replaced. Peanut picking machine is used for picking fruit with vines after harvesting. It can be used flexibly in the field, the fruit is clean, the fruit shell has low breakage rate, less loss, dry and wet stems are available, work efficiency is high, and threshing is clean. The peanut picking machine equipment produced by Aike is not only efficient in production but also easy to operate. The Peanut Picker Machine price is also relatively cheap on the market. It is now a good helper for farmers to pick peanuts. Peanut Picker Machine features: The utility model has the advantages of high picking rate, low breaking rate, clean cleaning, high work efficiency, reasonable structure of the whole machine, and convenient movement between the fields. The structure of the Peanut Picker: The Peanut Picker machine mainly consists of a frame, an electric motor (diesel engine), a transmission part, a picking-out part, a fan selection part, and a vibration mechanism. During the operation, the motor or diesel engine drives the machine to run through the feeding inlet to enter the fruit picking system. The roller picking rod rotates to break the peanuts out of the stem, and the fruit and debris fall through the gravure hole onto the vibrating screen, and the stem is discharged from the discharge port. The fruit scattered on the vibrating screen is transmitted to the fan suction port through the vibrating screen, and the clean fruit is selected to complete the whole process. Animal feed silage cutting machine The use of crop straw crusher can improve the quality of silage and is special equipment for farmers to prepare the feed. The use of the green reserve lawn mower saves a lot of manpower and material resources and is used by more and more farmers in the market. The use of the green reserve mower can completely replace the artificial filler. For the application advantages of the green reserve lawn mower, the next Animal Fodder Silage Cutter Crop Straw Crusher Supplier will give you a concrete summary. Application advantages of silage cutting machine: 1. Adopt mechanized operation, high efficiency, standardization, save a lot of labor, reduce the production cost, and can improve work efficiency by more than ten times. 2. The use of silage cutting machine reduces silage waste caused by the irregular reclaiming method and improves feed utilization. 3. The silage cutting machine has a neat and tidy cross-section, which reduces the loss of silage nutrients. 4. The use of silage cutting machine can greatly improve the quality of silage, prevent secondary fermentation and reduce the incidence of dairy cows. 5. Silage cutting machine reclaiming and conveying process, can make silage fully stirred, nutrient distribution more evenly produced feed is more beneficial to breeding. The tractor installs the harvester adhesive, uses the rear drive output of the tractor to do the power, and the rear suspension operation, the work efficiency is high, and the various working widths are optional, satisfying the choice of different users and different terrains. The equipment is specially designed for the sticky soil of crop cultivation. It is highly efficient and does not harm crops. The clay runs without difficulty. Advantages of Tractor Mounted Reaper Binder Price in China: 1. From the garlic machine. Do not hurt the garlic, the knife depth is about 15 cm, adjustable. 2.When garlic, garlic does not move, will not be full of mess. 3. The operation is simple, easy to use, everyone, can use. 4. Applicable to one family, each family can consume. 5. Does not affect the crops of the intercropping, does not hurt the seedlings, adapt to the cultivation habits of the people. Installation and commissioning of Tractor Mounted Reaper Binder for tractors installed in China Insert the lower hanging wall pin of the implement into the hanging armhole of the hand-held machine, pin the pin lock, and the upper arm of the machine is linked with the central rod of the tractor. The center rod can be rotated to adjust the depth of the implement, and the gearbox is fixed to the tractor. On the output shaft, the implement gearbox and the split gearbox are connected by a crank arm. Harvesting garlic with garlic excavation machinery can reduce labor intensity, increase labor productivity, save man-hours, increase the yield and quality of garlic, and achieve greater revenue and savings. After years of research and development, AGCO's adhesive performance has been significantly improved, and the price of tractor-mounted harvester adhesives in China is also reasonable. Precautions for using the harvester adhesive: One: Garlic is laid out in an orderly manner. More than 95% of the garlic is covered with garlic, which basically meets the quality standards of manual placement, ensuring that the machine can be harvested under the scorching sun and increasing the operation time of the machine. Second: the effect of clearing the soil is better. Under the conditions of sand and loam, most of the soil is separated, which is beneficial to the artificial removal of roots. Third: the chance of blockage of the machine is reduced. Four: the attachment performance of the machine is improved, and the walking speed is uniform. Five: The operation is convenient and flexible, the machine realizes hydraulic lifting, and the seat type operation, the working depth, and the working range are easy to control. The improved machine has a single machine operation of 98 acres in 5 days, and no parts failure has been found. adidas sneakers womens blue The shoe’s comfort profile is also quite impressive. While mesh inner linings are a standard for runners for the last few decades, there’s more. The adidas Falcon also comes with the brand’s Torsion system to make for a stable ride. Underfoot, each step is cushioned with the impact protection of the brand’s EVA tech. 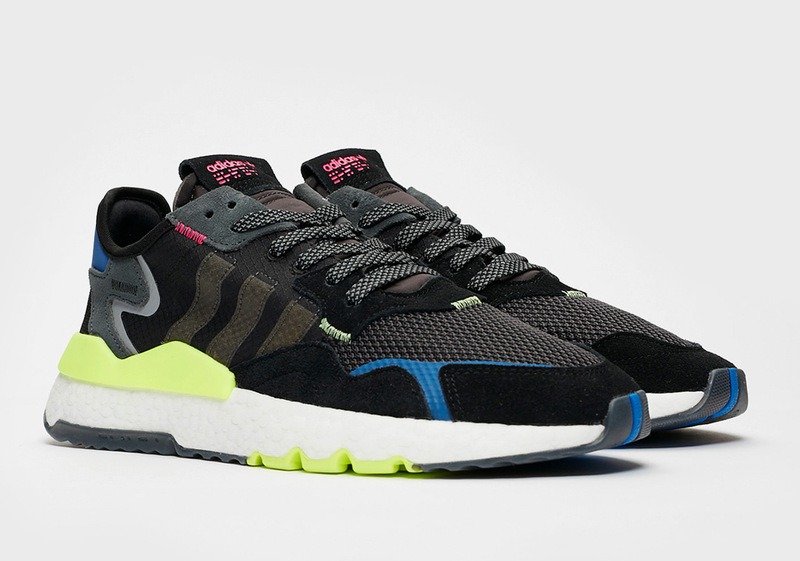 adidas sneakers for men 2019 This adidas Falcon features a Navy mesh upper highlighted with patent leather overlays covered in a mix of Blue, Gold, Pink, and Black. Red contrasting accents appears on the tongue, inner lining, and midsole to completes its eye-catching aesthetic. adidas sneakers white and gold The adidas Falcon is another piece of evidence showing that bulky footwear isn’t going anywhere any time soon. This model is straight out of the 90s. The silhouette itself is a masterclass in the bulky sneaker design that was all the rage then and is going through a renaissance now. 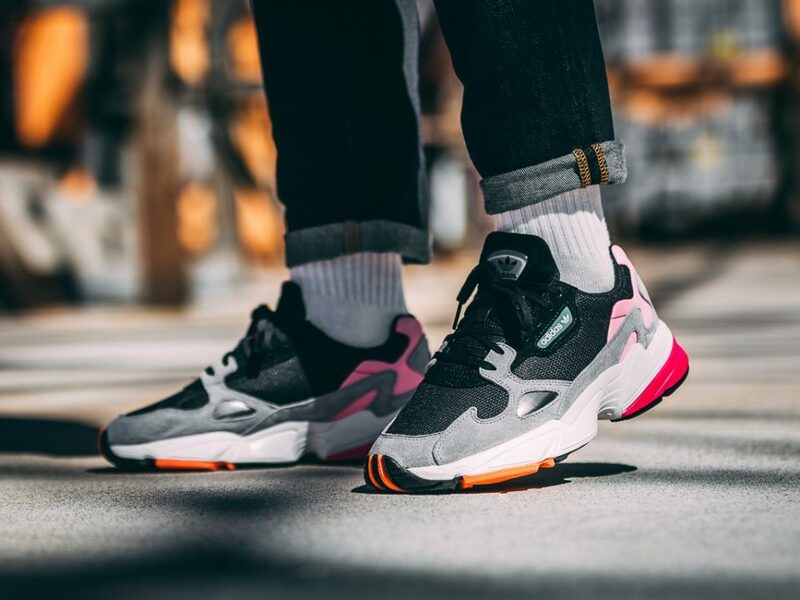 adidas falcon black pink Be bold and transform your look into daring style with this '90s-inspired retro running shoe from adidas Originals. Mesh upper with leather overlays and metallic accents. Set on a lightweight EVA midsole and rubber outsole with a stabilizing torsion system. Once making the hardest step of initiating converse uk sale all star the conversation it is significant to keep the conversation flowing so you avoid the dreaded 'awkward silence' that will really kill a discussion. A good way to avoid the 'awkward silence' zone should be to have a few, well thought out questions or statements which you think would generate a good response from the other person. Have these pre-thought questions or statements converse chuck taylor 2 white tucked up your sleeve to help you pull them out once you feel the conversation is starting to visit into that awkward area. Now you don't would like to go into a conversation with a whole bunch of questions and make each other feel as if there're being interrogated and you definitely don't want to start rattling off very much predetermined salomon speedcross 3 statements that are manner off topic and don't have anything to do with the conversation you are receiving. But it is advisable to have some sort of nike roshe run women backup strategy in place in order to keep the ball rolling which means you don't let the discussion go quiet and belong to the dreaded 'awkward stop zone'. You also want to keep the other person engaged in the conversation by nike free run 5.0 womens maintaining eye contact at all times. This lets the other person know that you're paying attention and you are looking for what they have to state.